I'm off to Monroe with my husband to play our next pops concert! 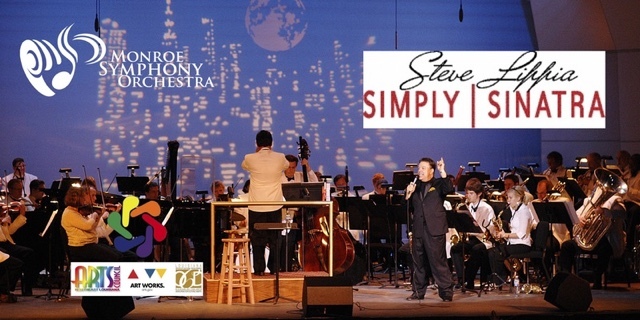 If you're in the area, check out our Frank Sinatra concert on Saturday night. There will be tables set up to bring your own delicious food and it will be a fun time. Last weekend, I performed in a chamber music concert with the Camerata Winds. 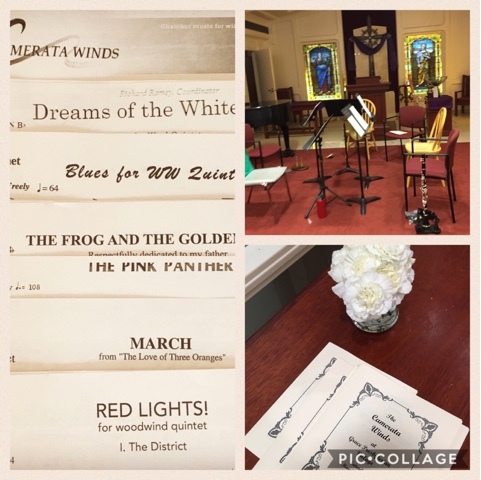 The concert was called "Colors of the Winds" and featured recent woodwind quintet arrangements with different colors in the titles such as Dreams of the White Tiger, Blues for Woodwind Quintet, Red Lights!, Pink Panther, March from The Love of Three Oranges, Pink Panther, and The Frog and the Golden Ball. We each dressed in a different color to match the theme. I also was able to participate in a few races! 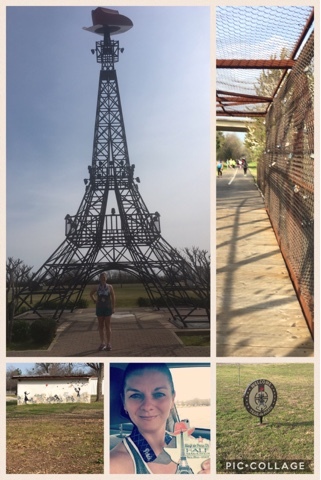 I ran the Paris, Texas half marathon which was delightful! The course went through picturesque trails, over bridges, and passed by the Eiffel Tower which was complete with a red cowboy hat on top. I also volunteered as a St. Patrick's Day 5k and got to help run some of the timing and finish line activities.